Perhaps we can take heart … ? 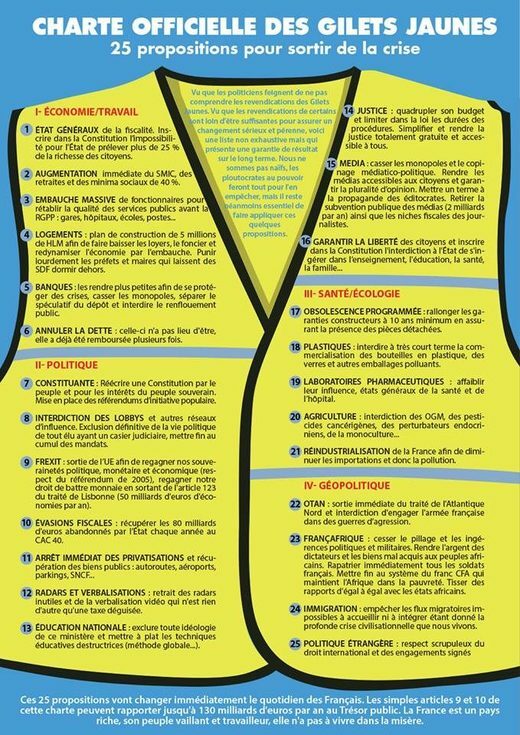 The featured image includes 4 of the Gilets Jaunes spokespeople, but there are others. Further, members of the movement don’t simply accept any particular one of these people as speaking on their behalf. It is very much a movement of individuals. This is perhaps both its strength and weakness, that no single voice or set of voices represents it. At least so far.